This beautiful pouffe in a vibrant pretty pink colour is perfect for your living room or bedroom. Adding luxurious look in a modern look that will suit most decors. Sumptuous comfort and style that's fit for a princess. This large pouffe is great for adding some extra seating space or a luxurious footstool for restin your feet upon. 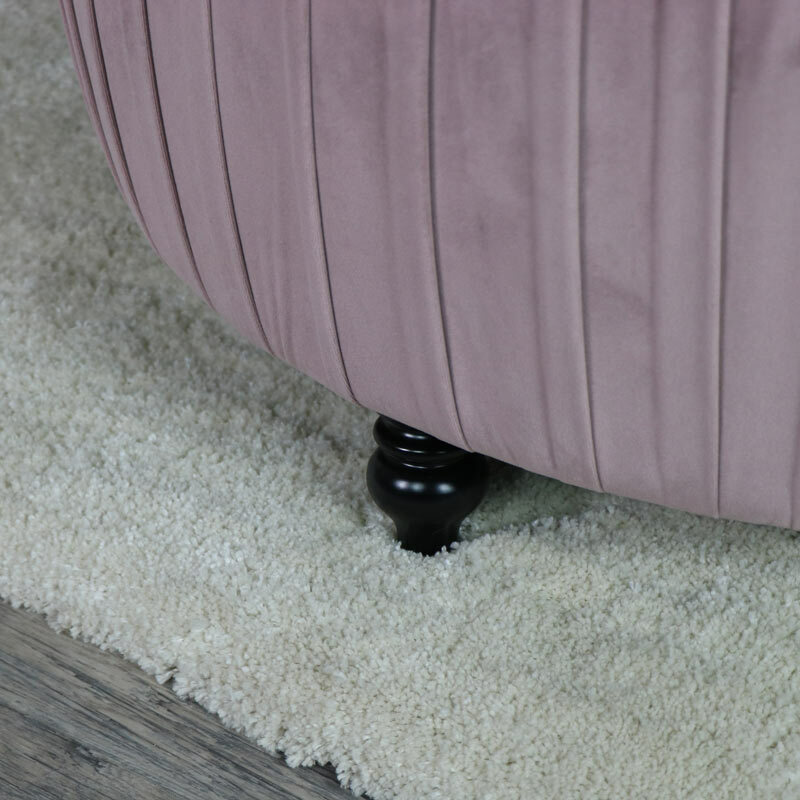 Upholstered in a gorgeouse rich pink velvet, resting upon stylish wood turned feet to protect the base of the stool. The pink colour will add some sophistication and elegance to a room, perfect for a girl's bedroom. 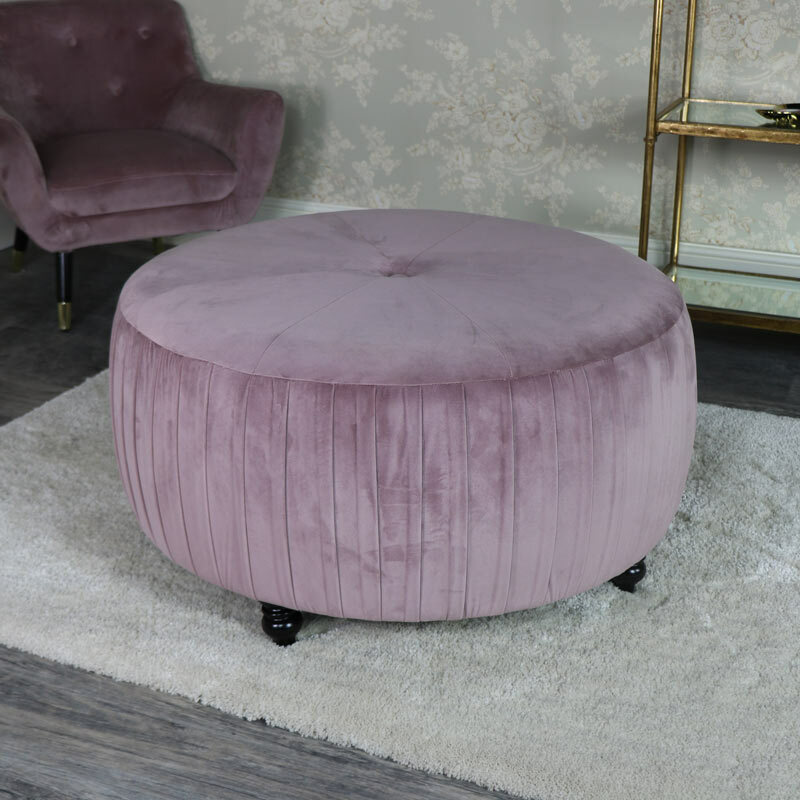 This beautiful pouffe in a vibrant pretty pink colour is perfect for your living room or bedroom. Adding luxurious look in a modern look that will suit most decors. Sumptuous comfort and style that's fit for a princess. This large pouffe is great for adding some extra seating space or a luxurious footstool for restin your feet upon. Upholstered in a gorgeouse rich pink velvet, resting upon stylish wood turned feet to protect the base of the stool. The pink colour will add some sophistication and elegance to a room, perfect for a girl's bedroom. This pouffe comes mostly assembled, only requires the feet to be attached to the base of the seat, measures a generous 80cm x 42cm x 80cm (width x height x depth). Check out our other furniture and create your dream living space. With furniture to decorate your home from top to bottom, living room, hallway and bedroom - we've got it all. 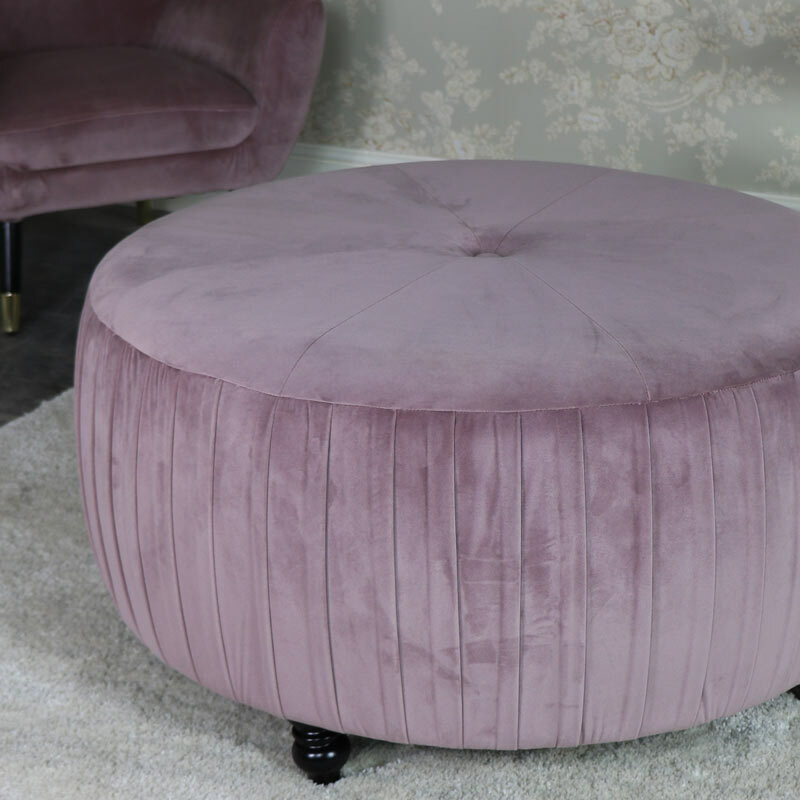 The pouffe is upholstered in a pink velvet material with dark brown wooden feet. The pouffe is weighs approximately 6kgs.